A delicate recovery shampoo for fine, dry or broken hair. Aloe, Milk Proteins and Olive Esters gently protect the hair in a low foam formulation. Designed to cleanse without stripping your hair. Angelica Root extract and essential oil of Grapefruit gently cleanse stressed out hair and controls frizz on fine, dry hair. 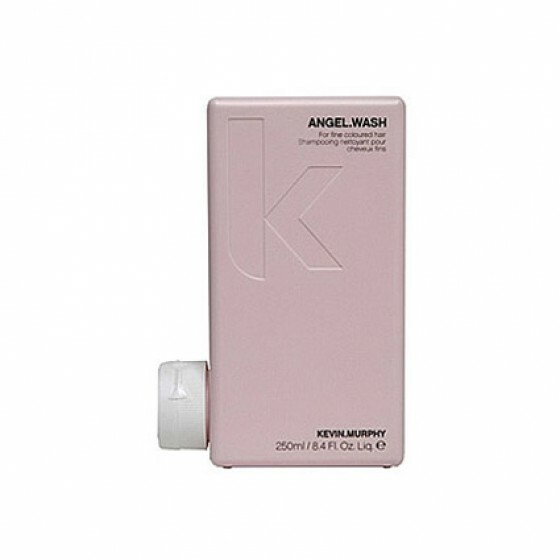 Kylie Minogue loves the combination ANGEL.WASH and ANGEL.RINSE and HAIR.SCREEN. Review "Kevin Murphy Angel wash"